Subhas Chandra Bose disappeared after Independence struggle of India. There have been explanations by Indian government and others that his plane fell down and he died. But Sarkar has told that while Bose had to leave the independence struggle, he took another more important mission in this planet. That’s why he disappeared. Later the researchers in India have admitted that Bose didn’t die in the plane accident. May we know one day what was his mission! Subhas Chandra, Netaji, and his elder brother Sharat Chandra Bose were Sarkar´s mother's cousins (called maternal uncles). Sarkar lived in Kolkata during the same time that Netaji was under house arrest in Elgin road house, in Kolkata (1940) and probably Sarkar (19) had chances to speak with him. Sarkar had also much respect for Netaji´s brother, Sharat Chandra, because Sarkar dedicated one of his books; "Yogic Treatments and Natural Remedies" to his sacred memory. When Indira Gandhi tried later to destroy Sarkar´s Prout movement, the only reason was not that Gandhi and Russian Communist Party kept Prout dangerous for national security in both countries; but on the other hand Sarkar´s support (adviser?) to Independence movement of India and Sarkar´s idea of an undivided Bengal, were probably also part of the reason. Sarkar writes: The post-independence period can be divided into three main phases - the Nehru era, the Gandhi era and the Janata government. All these three eras came within the jurisdiction of Vaeshyan or capitalist rule and they all had one thing in common – they had a soft state policy towards the capitalists. Pardoning… can be practiced in individual life only, but it cannot be part of collective sádhaná…Mahatma Gandhi should not have pressed one government to pay fifty crores of rupees to another government against the interests and sentiments of the people of that country. He should have said, “No. I do not support the communal award.” He did not say this because his party workers and party leaders were eager to become ministers, so they pressed him for provincial autonomy… What has happened in the country after this is the result of what Mahatma Gandhi did…. As a result of the communal award, the country was trifurcated into Pakistan, India and Bangladesh. The philosophy of Gandhi died before India got independence – it died long before Gandhi died. This difference in the style of functioning between Gandhi and some of his followers became very noticeable to outside observers…Subhash Bose never allowed this question of the difference between himself and Gandhi to interfere in their personal relationship. Gandhi also did not allow this to happen. But some ambitious leaders of the Congress exploited this situation. The expression of their personal animosity and the serpentine noose of so-called Ahimsa was one of the main reasons why Subhash Bose had to leave the country. The coastal areas of Bengal were fortified so that Bengal could not be invaded either by land from Burma or by sea from the Andamans. Bengal’s clocks were also moved ahead one hour from Indian Standard Time for work convenience. The submarines of the Indian National Army were spotted from time to time off the coast of Orissa. Most of the cycles and boats were removed from the Bengal coast so that the enemy would not be able to make use of them. Although this created difficulties for the common people it was necessary for defense purposes. Bombs were falling on Calcutta and in several other places in Bengal. Despite the strong fortifications of the coastal area, the Indian National Army was making hectic preparations to wrest control of the coastal areas of Chittagong, Noakhali, and Bakharganj. The INA had nearly surrounded Kutubdia, Sandip and Khulna District’s Sharankhola. That was the military situation of the country. Blackouts were in force from city to city. In most places there were careful preparations taken against air attacks. Naturally, moving on the roads after dark had become extremely troublesome, so people used to finish work quite early and go home and close their doors and windows. Yes, even the windows had to be shut; otherwise the light from inside the houses would leak out into the streets and make it easy for the enemy to locate the site. People would be back home by dark and crowd together in one room to listen secretly to the radio news about the Indian National Army. Those who didn’t have a radio in their house would go to the house of someone who did, making for quite a crowd….In my town there was a daily blackout. Low-power bulbs had been fitted in the street lights and the lamp covers had been painted black so that the light would not be diffused very far. Some famous people from Rahr the cradle of civilization: Rashbehari Bose, a flame of revolution, an outstanding man of action, who laid the foundation of the Indian freedom struggle outside India and who founded the Indian National Army (Azad Hind Fauz). 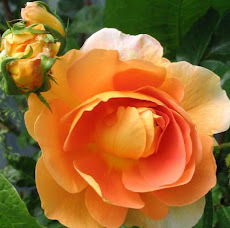 Subhash Chandra Bose, to whom Rashbehari Bose, in his old age, confidently turned over all the responsibility of the Indian National Government, this thunder like jewel of manliness…. Dr. Professor Satyendranath Bose (famous for the Bose-Einstein theory). When India first began to receive Western education, a crisis of conscience arose…In that transitional period of illusion and emotionality, the rustic man…appeared…with an earthen lamp of enlightenment…;Gadadhar Chattopadhaya (Ramakrishna Paramahansa) of Ráŕh. The monk who epitomized manliness, spiritedness and valour…that time; Narendranath Dutta (Swami Vivekananda). Shrii Aurobindo Ghosh, a pathfinder in the realms of revolution, intellect, philosophy and spirituality. Mahaprabhu Shrii Chaitanya brought about a great stir in the realm of ideas, in the practical realm and in the social realm. Gandhism is example of defective philosophy. Instead of guaranteeing liberation from exploitation, it favors the interests of the exploiters; hence it is a negative philosophy… No revolutionary organization can accept Gandhism as an ideal philosophy. If any organization does, then it will no longer be a revolutionary organization, and it will break apart within a short time. This is an historical inevitability. Thus, the revolutionary organization must adopt a positive philosophy which is without defects. 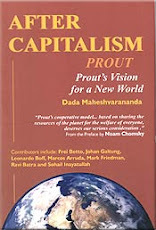 Prout, The Progressive Utilization Theory, blends spiritual with socialistic idealism – a formula familiar in Eastern India, where prominent nationalists such as Vivekananda and Subhas Chandra Bose also made use of the present Ananda Marga slogan – “Liberation of Self and Service to Humanity”. Prout is the social side of a total philosophy that blends concepts of spiritual and social liberation. In Gandhism, we find two defects – psychological and material. Although Gandhism is not pure capitalism, it is undoubtedly a way to protect capitalism.… Secondly, Gandhism always tries to avoid fights and all sorts of struggle, including class struggle. According to Marxism, there are two main classes – the exploiters and the exploited. Gandhism does not recognize this sort of division… According to Gandhism, it is possible to transform the exploiters through persuasion. Theoretically, this view may be acceptable, but it is neither natural nor practical. If a goat tries to persuade a tiger, won’t the tiger eat the goat? Struggle is natural and indispensable. According to Tantra also, progress lies in struggle…We can conclude that the golden rule is: “Protect the virtuous; punish the wicked.” Humanity can be secured only if this principle is followed. Those who are established in Yama and Niyama and have accepted the Supreme Entity as the goal of their life are capable of safeguarding the interests of human race. Such people alone are sadvipras and only they can represent humanity – they alone can serve all creation selflessly. Sadvipras will be identified by their conduct their commitment to service, their dutifulness and their strength of character…Only these sadvipras can warn the exploiters with a thunderous voice: “No exploitation of one human being by another! No exploitation in the name of religion!” Such sadvipras will become the trustees of society…They will only ensure that the rulers do not exploit society, thus they will rule the rulers. September 1960, Ranchi: There is also a group of leaders who have genuine sympathy for the masses and who do not in their hearts support the Sarvodaya movement or Gandhism; but they nevertheless believe that the vaeshyas (capitalist exploiters) will be removed from power without a struggle through their plans for a welfare state. A change from one age to another can also occur through evolution. However, although it is theoretically possible to establish a welfare state or genuine economic freedom through evolution, in practice it will not work. It is true that in Great Britain some of the minimum requirements of life are being provided to the people, but how great the difference is between rich and poor! Because rich people have the opportunity to purchase votes, it is not easy for leaders who are genuinely concerned about the people to become members of parliament. I have said that kśatriya- (fighters) and vipra-minded (intellectual) shúdras (grass root level) will bring about the people’s revolution. For this, these shúdras will have to be thoroughly prepared, suffer a lot and make great sacrifices. They will have to fight against opposing groups and doctrines. DS: India got independence actually on 15.8.1947 at 12 PM, but India’s independence is celebrated only on 24.1-1950. Why? There was fear that a revolt in army against British would happen. British were afraid of their own lives so they left before dawn of 15.8. Britain allowed Gandhi and Nehru to spread rumors against Subhash, who was kept under house arrest. But somehow Subhas escaped from India to Pakistan, Afghanistan and Germany, where he met Hitler, who send Subhash to Japan with letter to the Emperor of Japan, that the Emperor would support Subhash´s plan of army to attack the British in India. Subhash met the Emperor of Japan and got help. Subhash contacted Indian workers in Malesia, Burma and Singapore and recruited these workers as soldiers to existing Indian army, which was that time under British control. The new soldiers carried statements with them and distributed to all soldiers of Indian army: 1. We should not fight with an army of Indians. (Army of Indians might mean here Shubha´s army INA? DA) 2. We should control India, but not the political party. 3. The British controlled army of India should be terminated. The campaign spread like wild fire. Then Subhash´Azad Hind force (Indian National Army, INA) attacked British in India. The Indian army soldiers started joining the Azad Hind due to those three point statements. British Lord Mountbatten called to Nehru and Gandhi on 15.8-47 and demanded that they had to hand over Subhash Chandra Bose either dead or alive, only then they would give independence to India. Subhash Chanra Bose had just won All India Congress president elections defeating Gandhi’s candidate. The Indian army was out of British control and they had to escape in the mid night of 15.8-47. So in reality India got independence on 1947, but it was declared only 1950 in order to save British from shame; Britain with the lead of Mountbatten had just defeated Germany as super power. When British never got Subhash, they spread in the news that he died in plane crash. Nehru dismantled Indian army and the credit for independence was given to Gandhi and his non-violence. Nehru also divided Pakistan from India and created the Kasmir problem. Subhas went to Himalayas as his life duty for Indian independence was reached and he didn’t care about public recognition or fame. Subhash Chandra Bose was in close contact with Sarkar earlier (Sarkar also attended once paramilitary). Sarkar might have something to do with advising Subhash for influencing the Indian Army soldiers to fight for independence from British. While Sarkar was still working in railway workshop a report was sent to Nehru every day about Sarkar´s doings. Nehru was that time afraid that Sarkar might help Subhash taking over India. To prevent that Nehru also offered Minister Post for Sarkar, but Sarkar refused. 1951 Sarkar showed in a special demonstration, that Nehru was in his past life great spiritualist, but he got a strong desire to enjoy the world, so he became a famous leader in this life, but after death he became a dog in Britain - brought up by Lord Mountbatten! Later Sarkar also demonstrated (helping someone’s mind to alter Subhash mind) what happened with Subhash. He was seen meditating in Himalayas for many years; enjoying the divine bliss, while Gandhi became a monkey in African jungle. Sarkar explained that Gandhi´s life was hypocrite due to him walking half naked around in order to gain poor people’s votes, but in reality he was working for British and rich capitalists like Tata and Birla. Gandhi had monkeys with covered eyes and ears on his wall and he used to teach through those monkeys the non-violence philosophy; not to see or hear, to be blind. Gandhi opposed Subhash´s economic-freedom movement. “None of you asked me to speak. But it is my love for Bose, that made me speak today. Such people must be born again in Bharat (India). Never forget Bose….Such glorious personalities are not to be forgotten”. ’Swatantra’ (or freedom) as it is called does not relate to the body or the mind. It is in reality ‘Swaatantra’ where ‘Swaa’ means the ‘Atma’ or Self [soal]. When you follow the ‘Atma’, there is nothing else left to be achieved. Bose knew what it meant. The patriotic fervor that he displayed is worthy of emulation. Without the patriotic spirit one is more dead than alive! It was only Bose who fought for ‘Swaatantra’; others had selfish agendas. They were the ones who divided people...” - Baba on India’s Independence Day, 2000. “Once when Subhas Chandra Bose was a student of the Calcutta University, a British Lecturer spoke disparagingly about India and Indians… He sprang to his feet, swiftly jumped across the benches and pouncing upon the Lecturer, thrashed him with his shoe. In a few minutes the news spread like wild fire throughout the University Campus. The authorities held an emergency meeting and passed orders debarring Subhas from the University for a period of five years. “No one acts. Everyone delivers speeches. I feel a stabbing pain that there is not a single Bose today. Tell me is there any one? One Bose is enough. Bose truly understood the plight of India." Punch into google search NETAJI SUBHASH CHANDRA BOSE, SECRETS OF RABAUL TUNNELS- VADAKAYIL. Find out how the Japanese ate thousands of INA soldiers for food. Find out where Bose was hiding in India. Please look at this Australian War Memorial article about 'Indian Prisoners' at Papua New Guinea. The Australian Army records say that the Prisoners at Rabaul were the British Indian Army Soldiers who were taken as POW's by Japanese and not INA soldiers. So seems rather Subhas saved lives of many Indian soldiers in Rabaul - he rid them from digging the tunnels by giving them chance to join the independence battle against Biritish, so those who joined INA were at least “not eaten up” by Japanese.